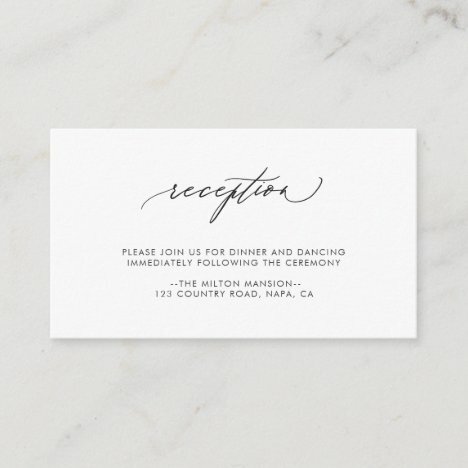 Simple elegance and beautiful calligraphy. 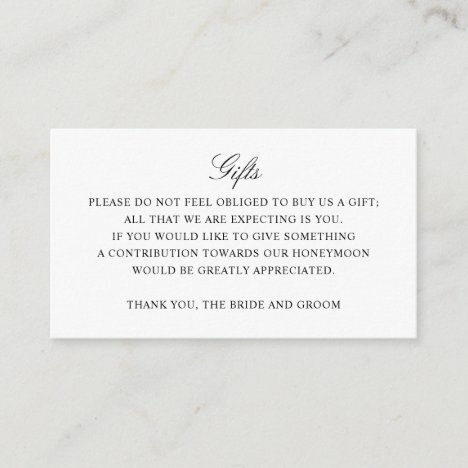 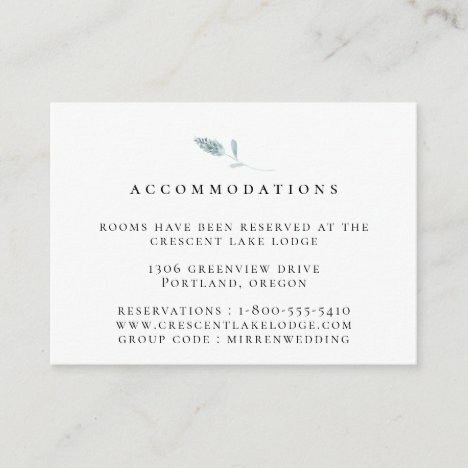 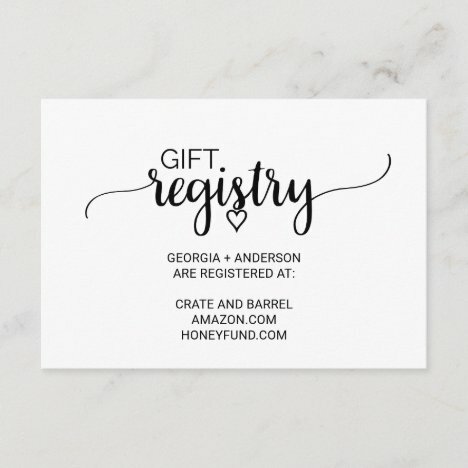 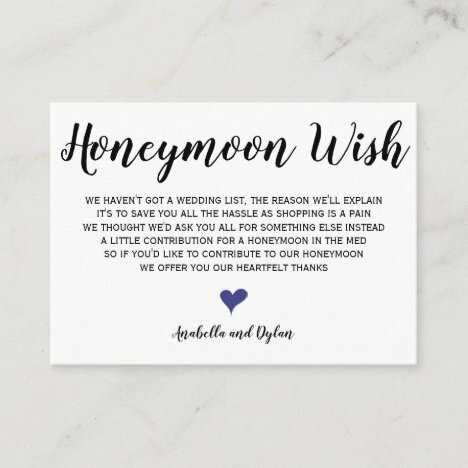 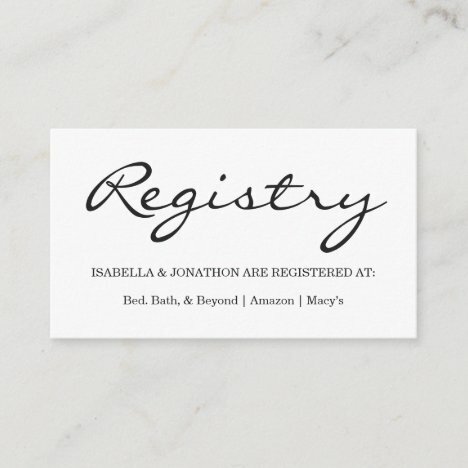 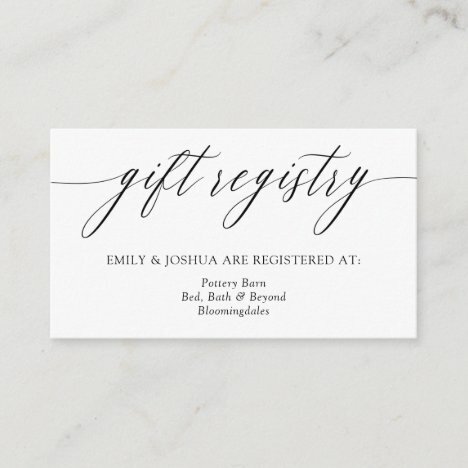 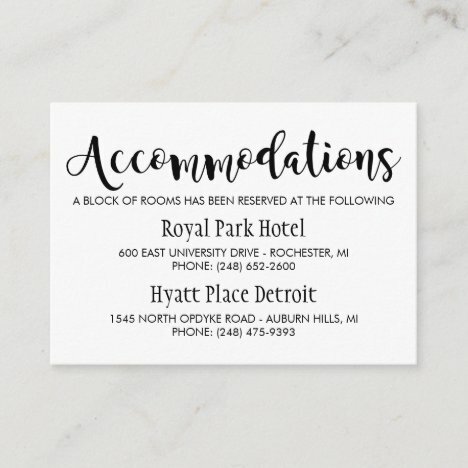 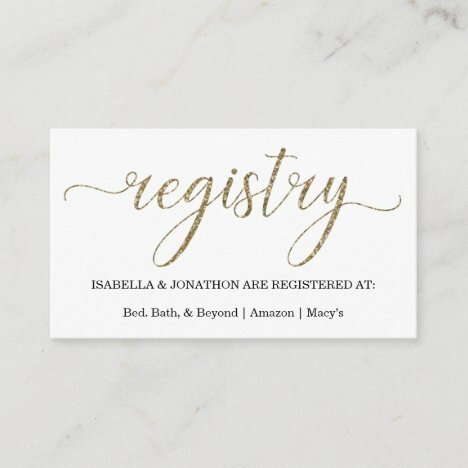 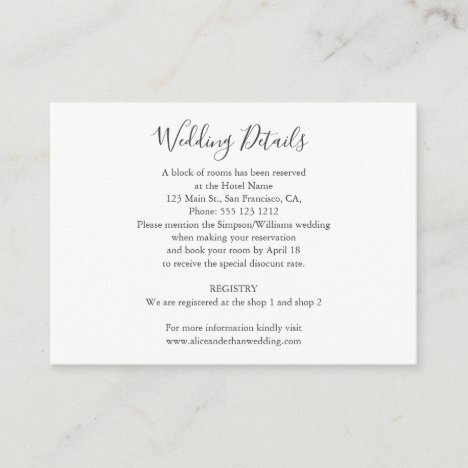 Registry insert card for a wedding with black text against a white background. 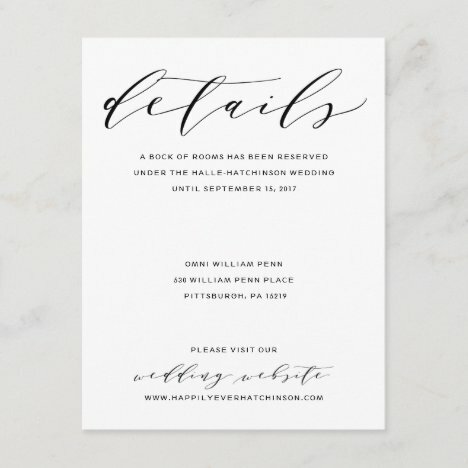 Elegant fonts, calligraphy script. 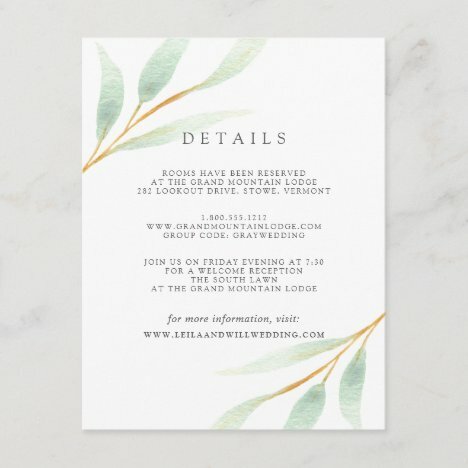 Enclosure card features watercolor eucalyptus with (not real) gold geometric centerpiece. 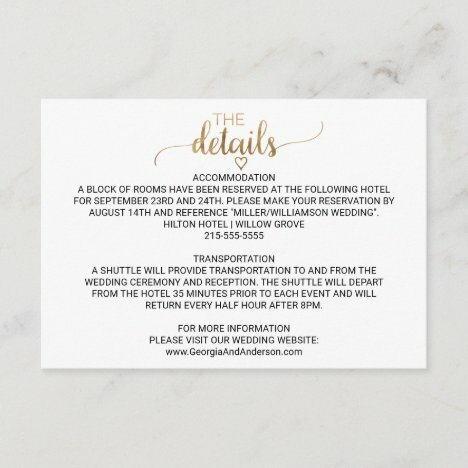 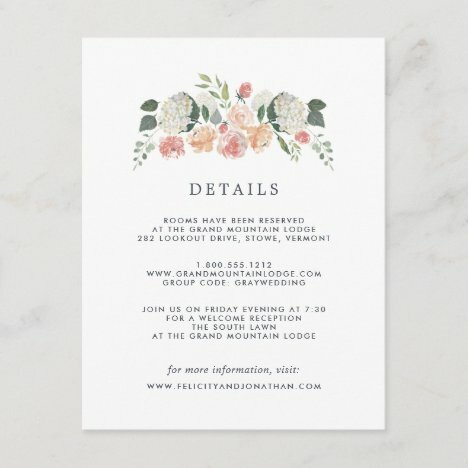 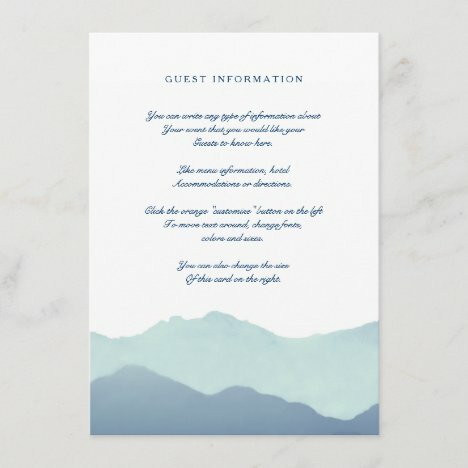 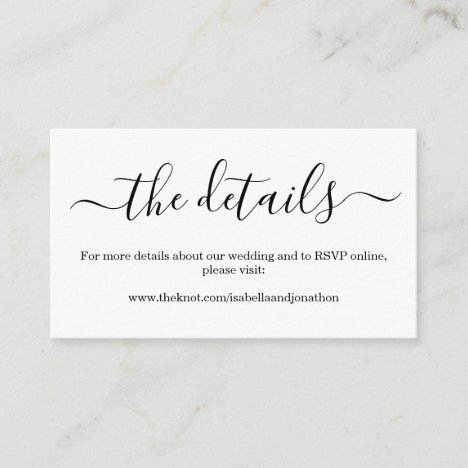 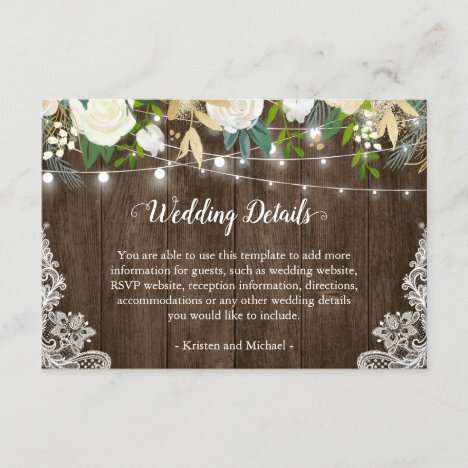 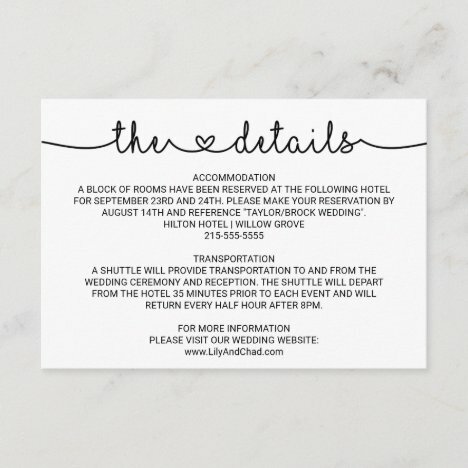 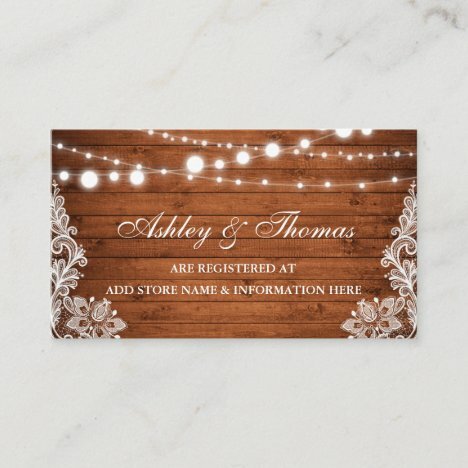 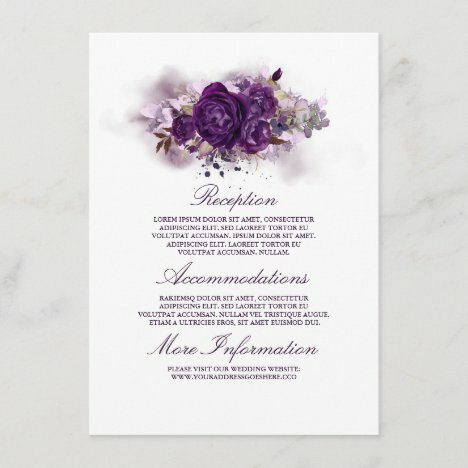 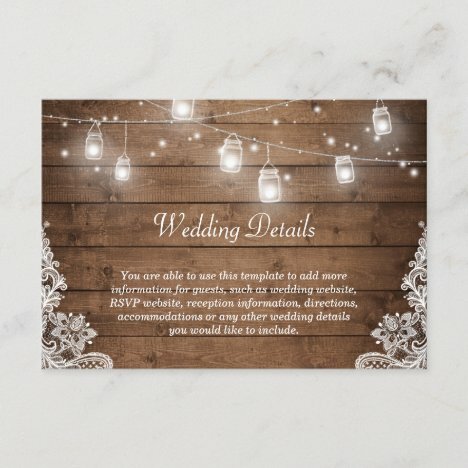 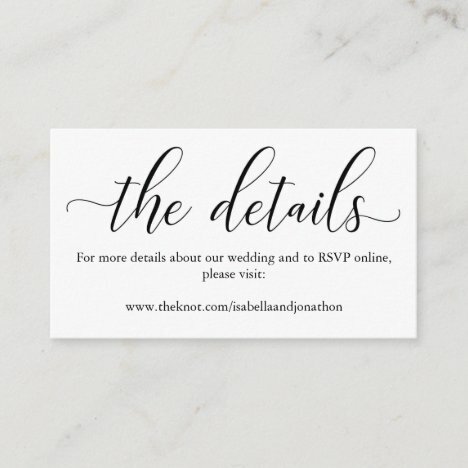 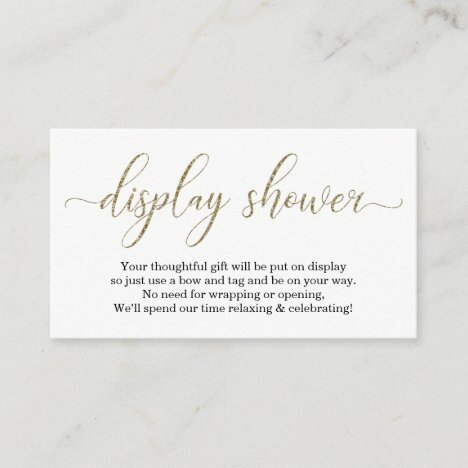 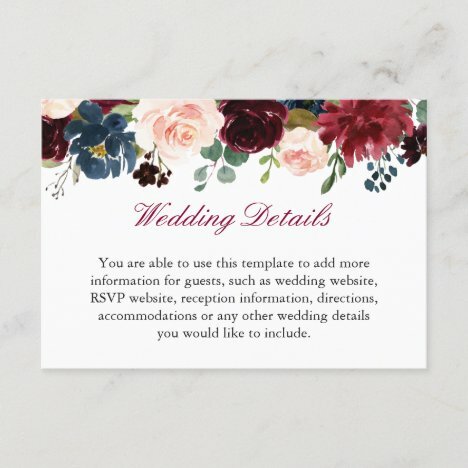 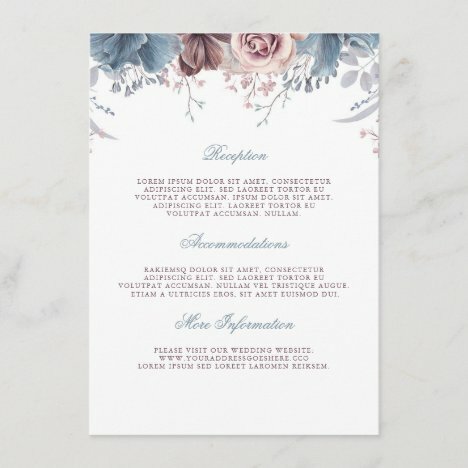 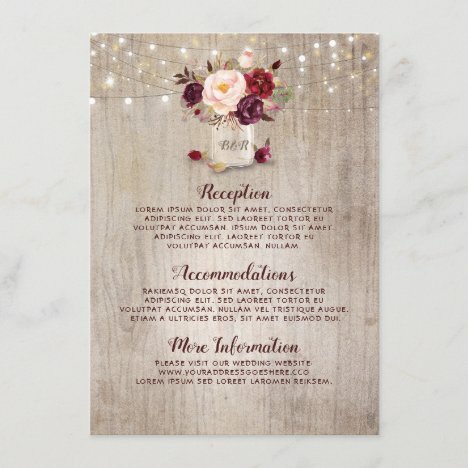 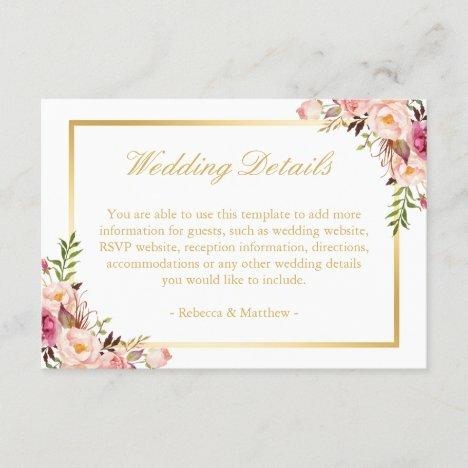 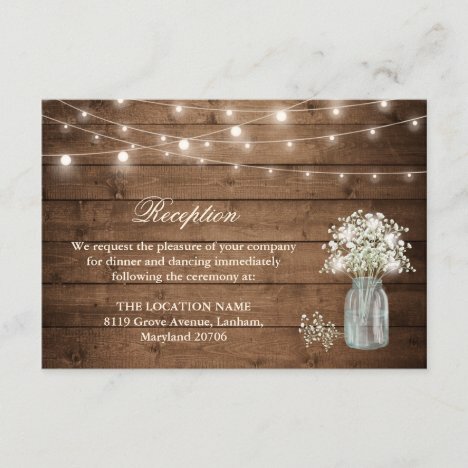 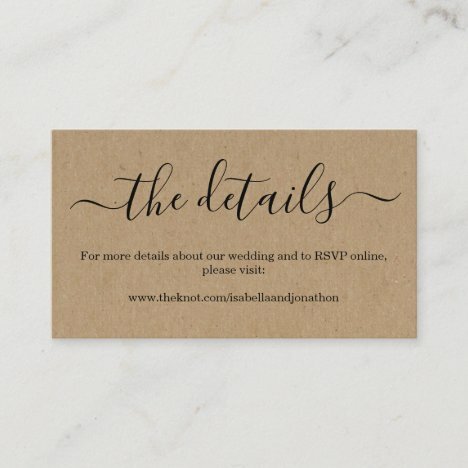 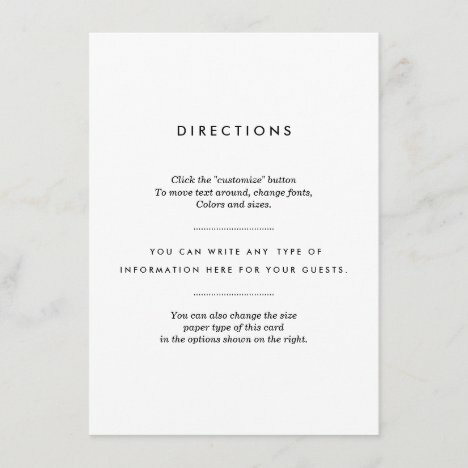 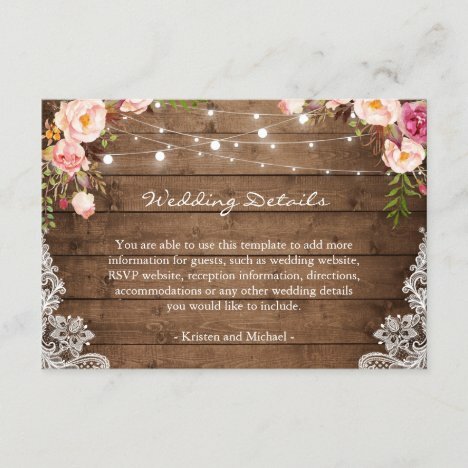 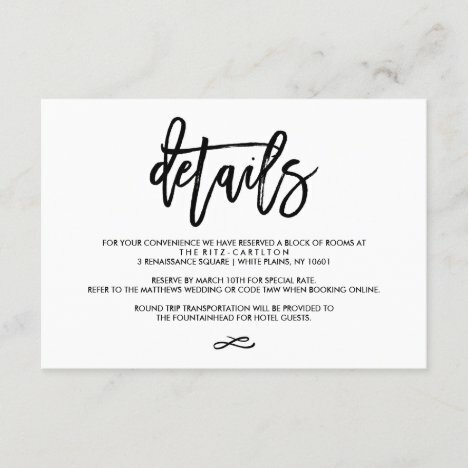 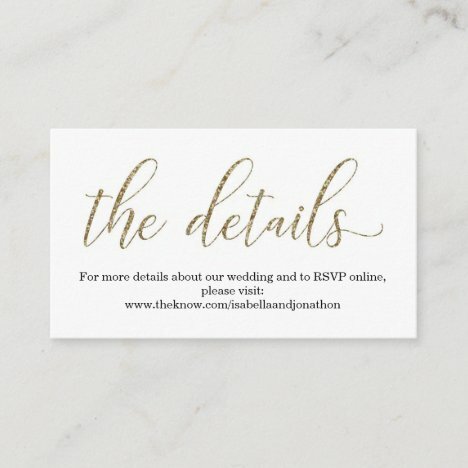 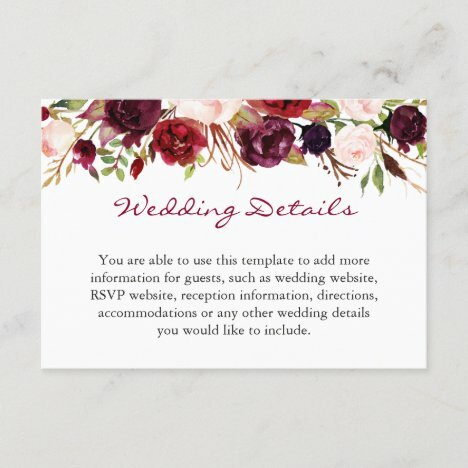 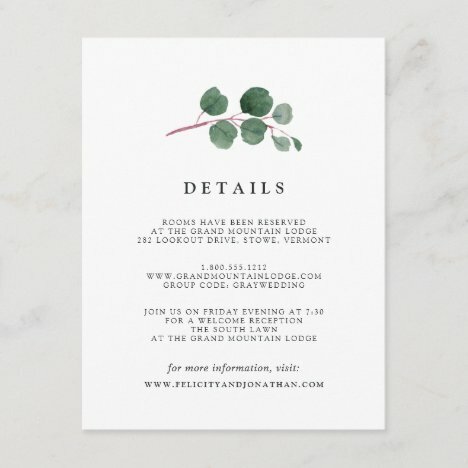 A wonderfully simple background to communicate your RSVP and wedding details. 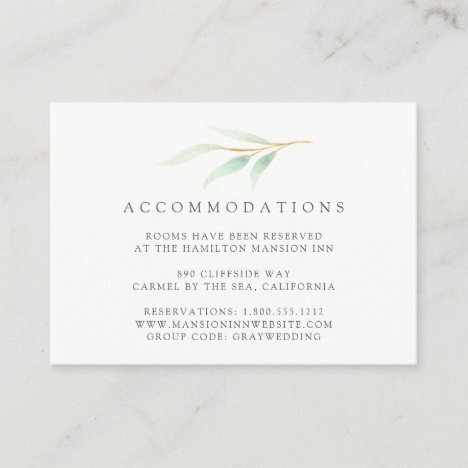 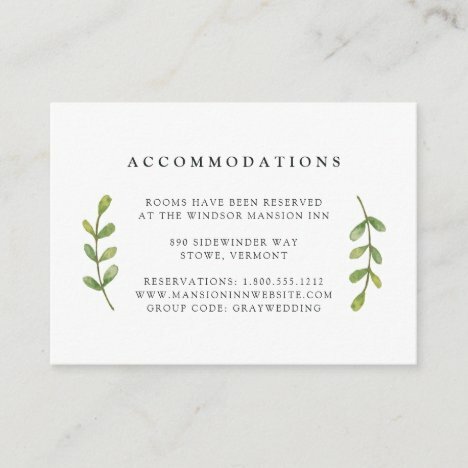 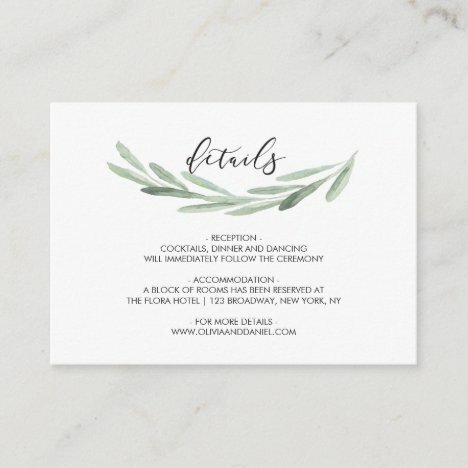 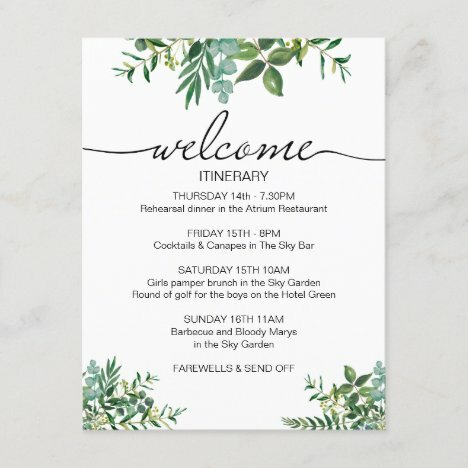 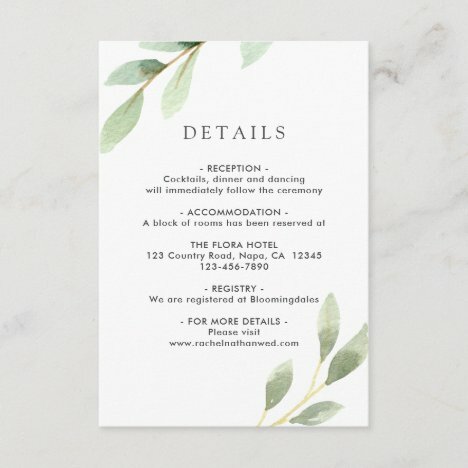 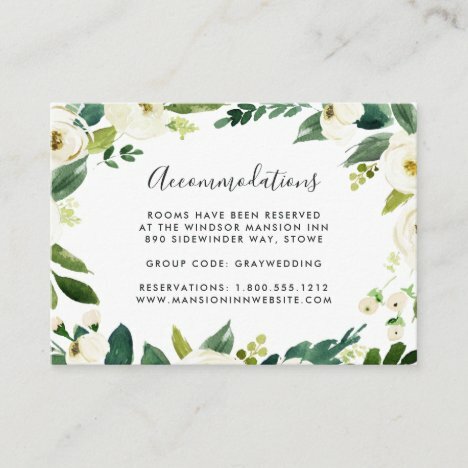 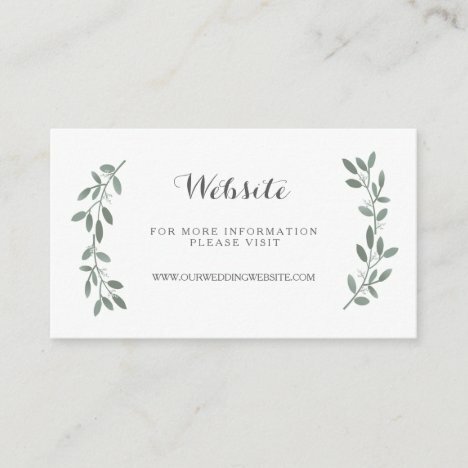 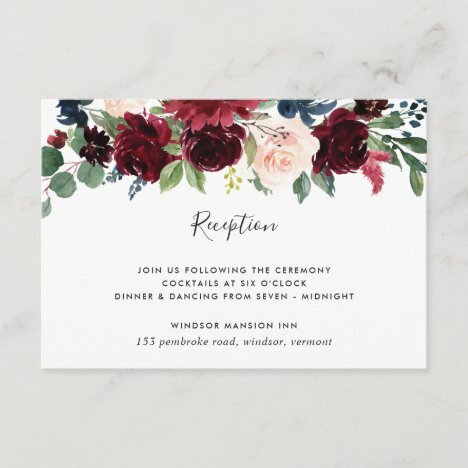 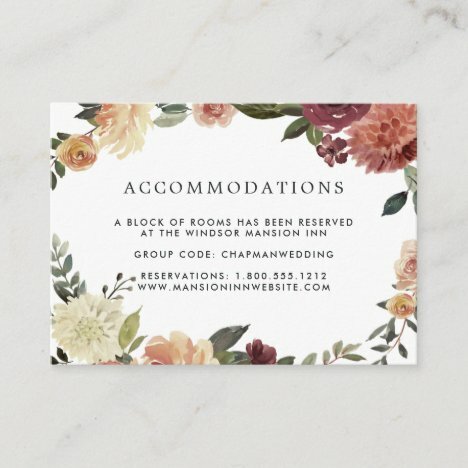 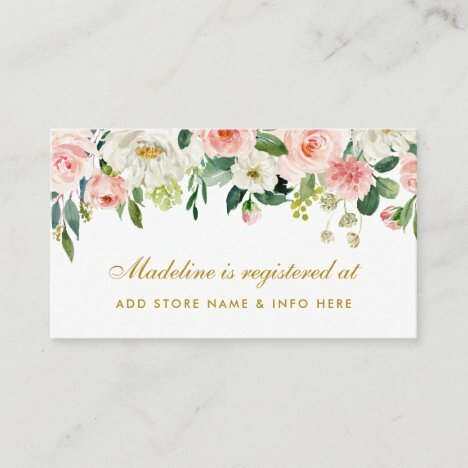 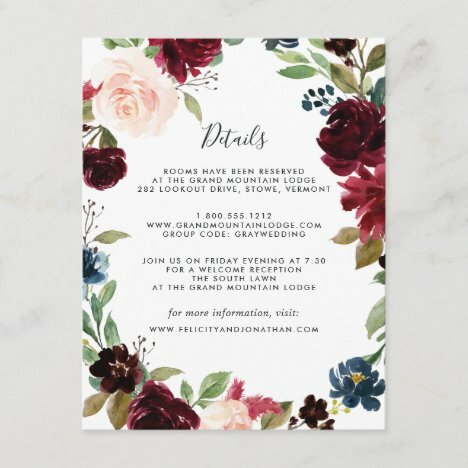 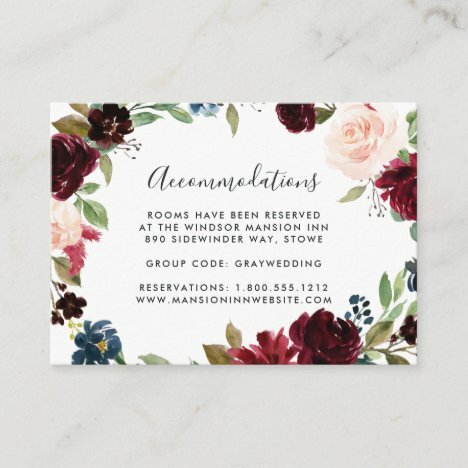 Elegant wedding RSVP business card with geometric centerpiece with watercolor eucalyptus wreath. 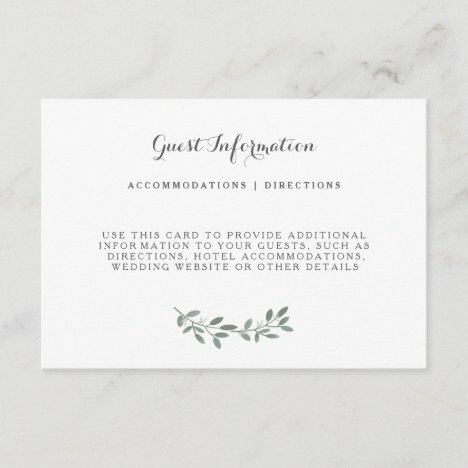 Simple elegance. 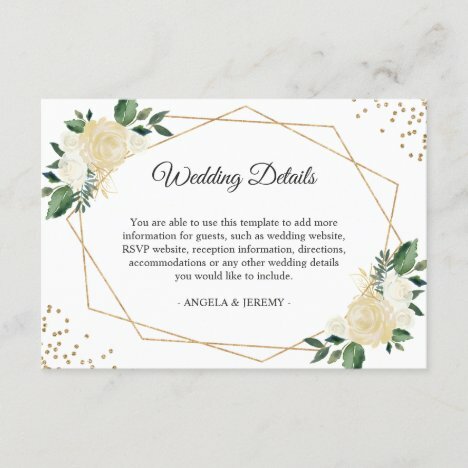 Beautiful calligraphy accented with a faux gold glitter effect. 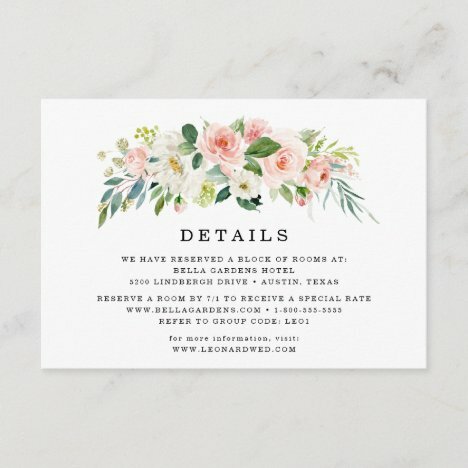 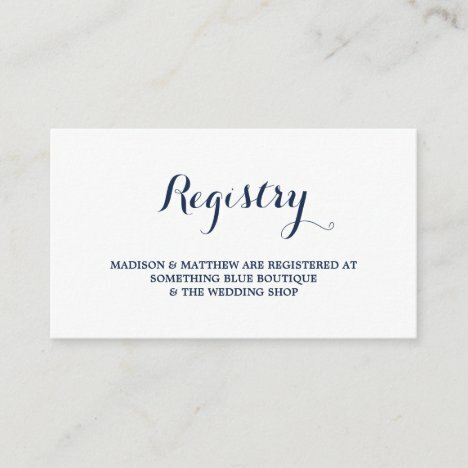 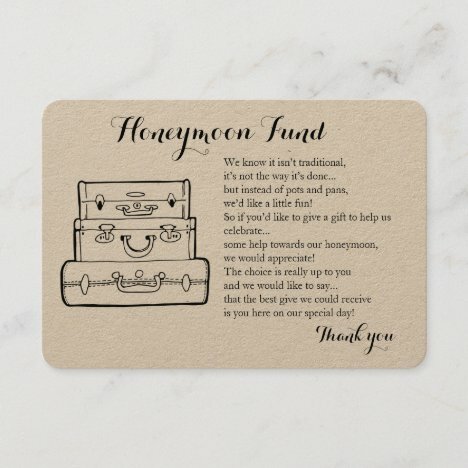 Use business cards to easily and efficiently communicated RSVP and wedding details. 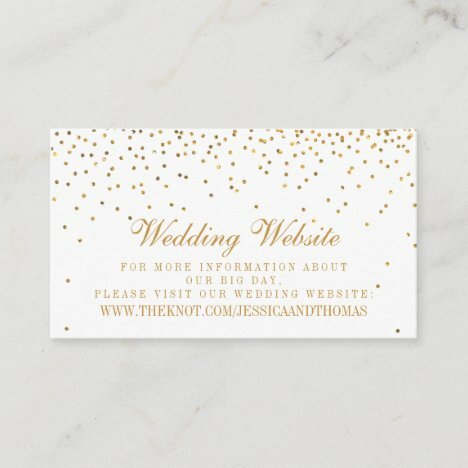 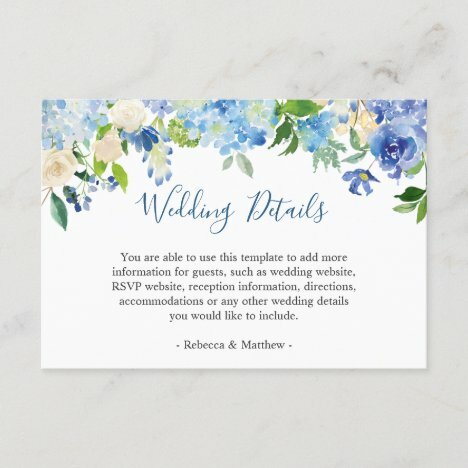 Let everyone know your wedding website with these handy Wedding Website cards! 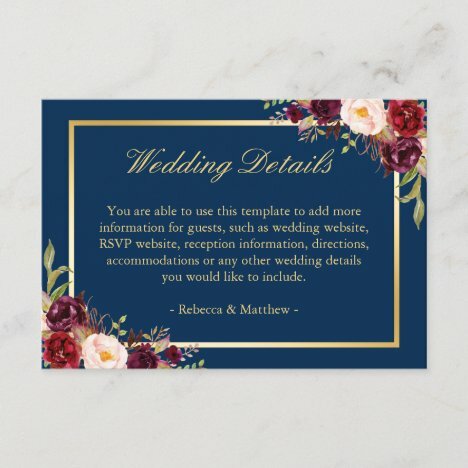 Modern wedding insert card that can be full customized. 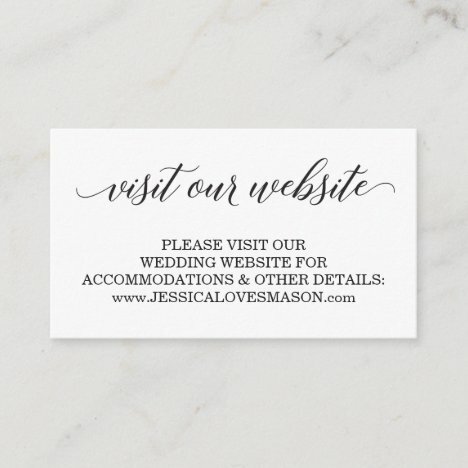 Minimalist enclosure card with custom photo on the back.